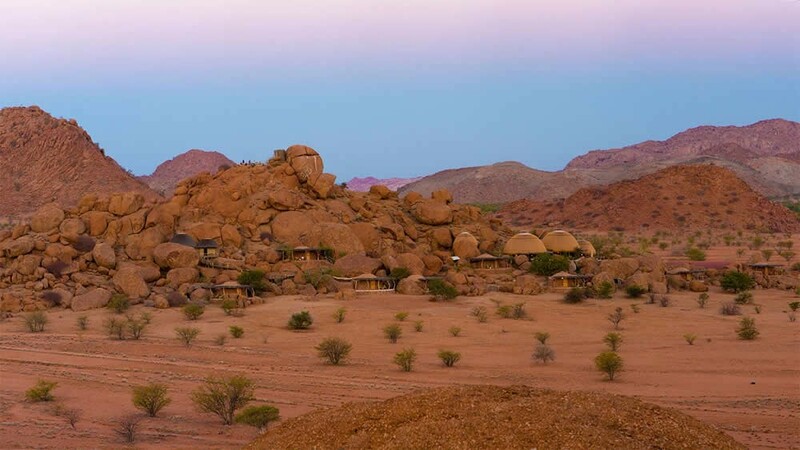 The surrounding space and endless views of Damaraland cannot be contained. 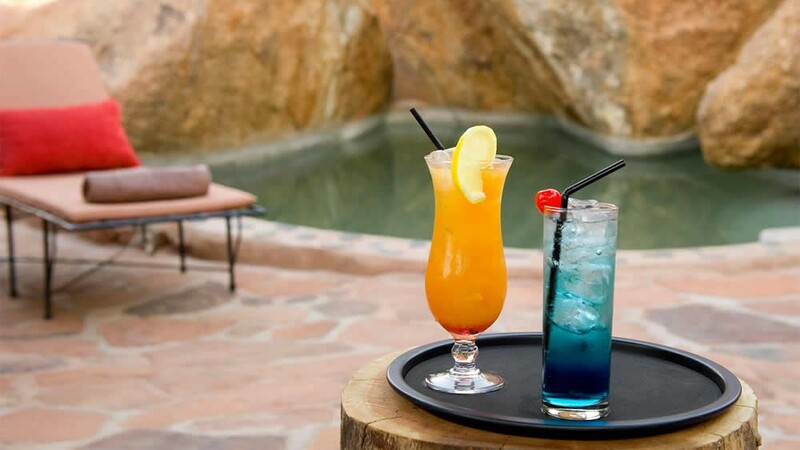 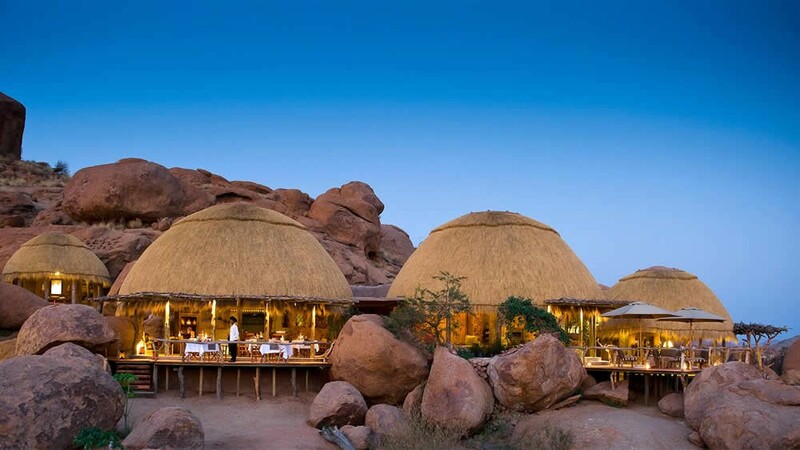 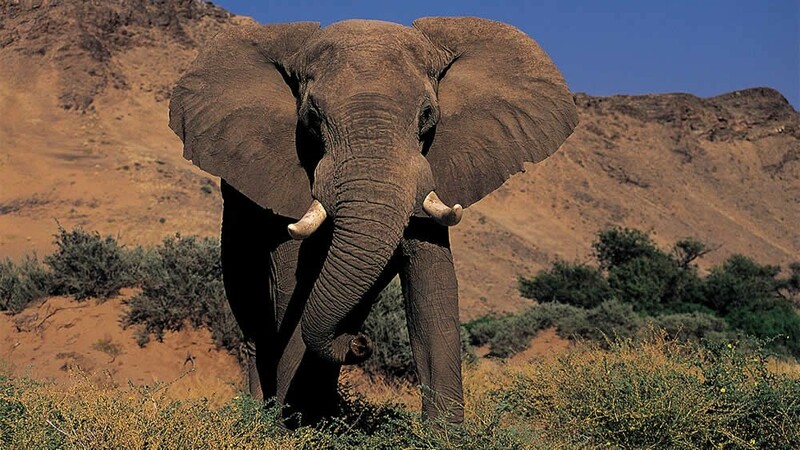 They beckon you to explore – enjoy an early morning game drive in search of elusive desert-dwelling elephants, hike in the ancient surroundings of the Aba Huab River or travel back in time at Twyfelfontein, Namibia’s first World Heritage Site. 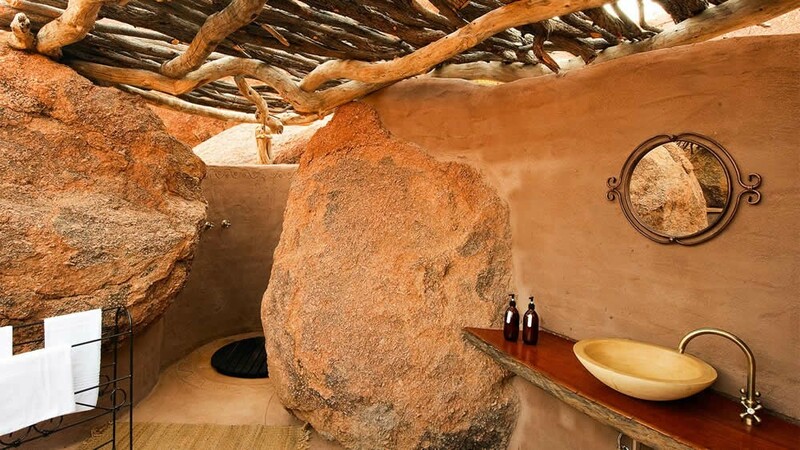 Organic and understated, the rooms at Camp Kipwe are like extensions of the rocks themselves. 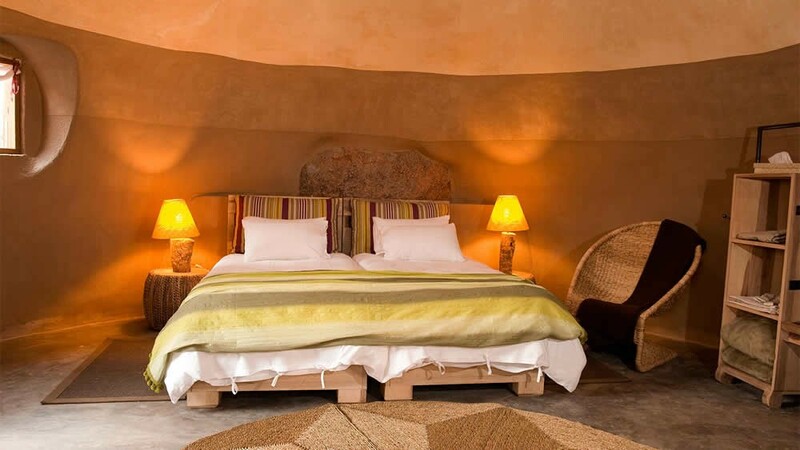 Inside the dome shaped space, you feel like entering a secluded cave and becoming one with the landscape. 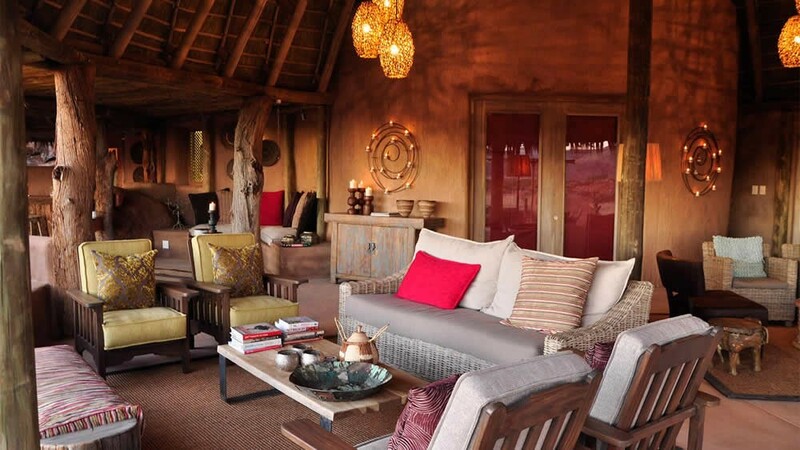 Natural touches – rocks embedded in the floor, animals carved into the wood, mimicking the area’s famous engravings – add to the unique sense of place found at Camp Kipwe. 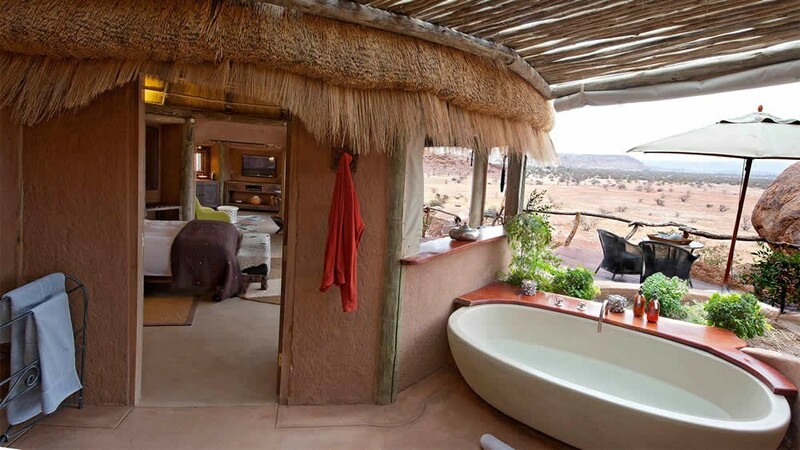 Nestled against the boulders, the partially open, outdoor bathrooms provide a bit of whimsy in the bush, while a small deck extends the living space, connecting guests to the riverbed and the views beyond. 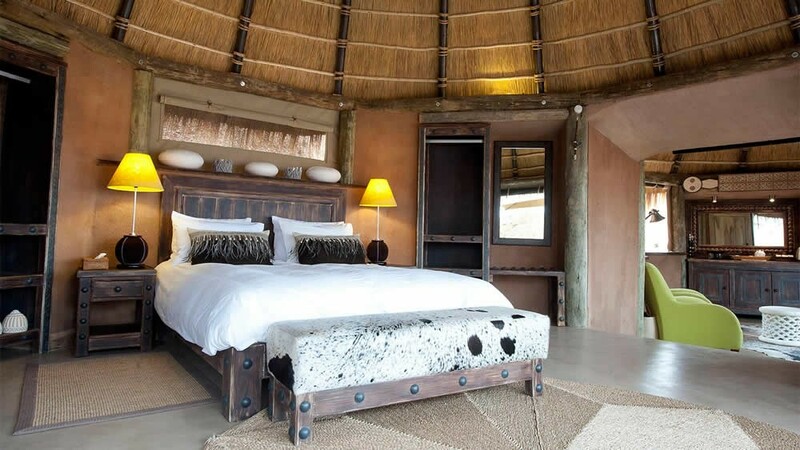 There are nine rooms at Camp Kipwe and one sprawling, thatched roof suite full of unexpected luxuries, surprising pops of color and spectacular views. 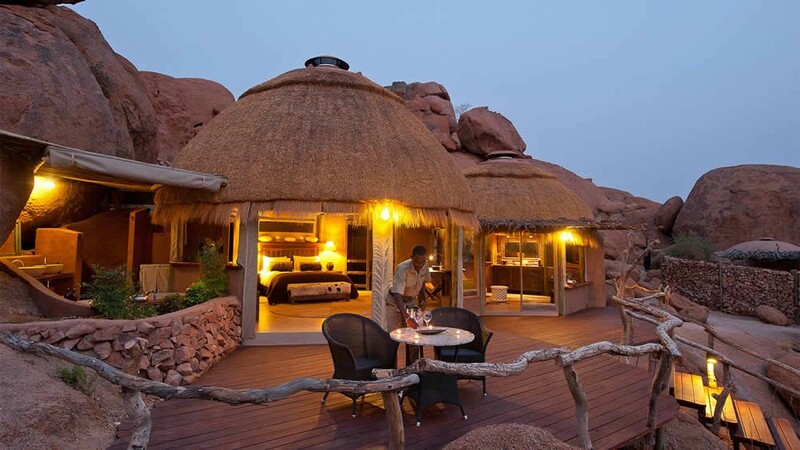 After leaving Khorixas continue on the C39 for approx 72 km and the entrance to Camp Kipwe is on the left.